Free and open to the public for observation. For more information, contact Elissa Lakofsky at elissalakofsky@yahoo.com. 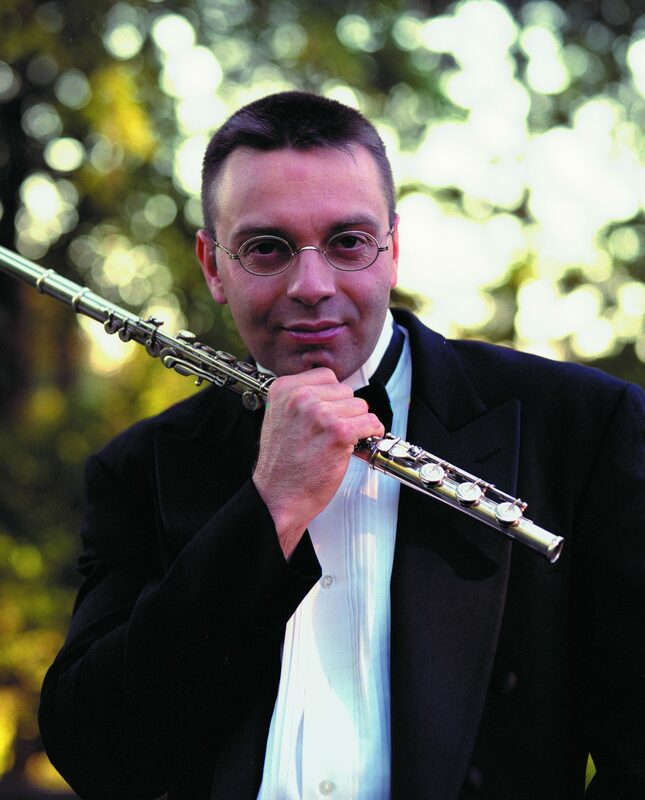 Jeffery Zook has been a member of the Detroit Symphony Orchestra flute section since 1992. His formal musical studies began at the Interlochen Arts Academy and continued at the University of Michigan. In 1988, he received the coveted Recitalists’ Diploma from the Royal Academy of Music in London. His teachers have included William Bennett, Trevor Wye, Judith Bentley, Jacqueline Hofto and former DSO piccoloist, Clement Barone. A prizewinner in many competitions—including the National Flute Association Young Artists Competition and William Byrd National Concerto Competition in Flint, Michigan—Jeffery has also been awarded a grant from the National Endowment for the Advancement of the Arts. Jeffery made his solo debut with the DSO as a senior in high school, performing Mozart’s Concerto in C for Flute and Harp with harpist Yolanda Kondonassis at Ford Auditorium in 1982. Twenty years later, he took the stage at Orchestra Hall with Maestro Neeme Järvi conducting the Vivaldi Piccolo Concerto. Recently he appeared twice as soloist in the Vivaldi Concerti for Piccolo with Maestro Leonard Slatkin; and was Acting Assistant Principal Flute of the DSO, performing solos such as Debussy’s Prelude to the Afternoon of a Faune. From 2001 – 2007 Jeffery co-hosted a chamber music festival, “Concerts in the Barn at Applewood,” at his Ontario farm home in Dyer’s Bay, along with DSO violist Caroline Coade and harpist Kerstin Allvin. In 2002 this group traveled and performed throughout Morocco and was featured on the nation’s television network, where they premiered a work written for them by Wayne State University Professor of Composition James Hartway. As a recording artist, Jeffery has recorded extensively for the Music Minus One label and is featured with fellow DSO flutist Sharon Sparrow on the popular band method book: Do It! Play in Band. In 2002, he teamed up with harpist Kerstin Allvin to produce Comfort and Joy! A Musical Celebration of Holiday Music for Flute and Harp. Jeffery has taught at the University of Michigan and is currently on the faculty of Oakland University. He has been Visiting Professor at Central Michigan University, and has held residencies at all the major universities in Michigan. In 2002 he and fellow DSO flutist Sharon Sparrow founded the Detroit Flute Connection, a series of master classes for flutists. Past President of the Southeast Michigan Flute Association, he is active in promoting playing of the instrument. In August 2012, Jeffery performed and taught at the National Flute Association’s annual convention in Las Vegas. Jeffery performs on a 9K gold Muramatsu flute.